- DB2 BLU Acceleration Hands-on@Cloud ! Unlike the competitor express offerings, DB2 Express-C does not impose any limit on the size of database. The new DB2 Express-C 10.5 release also relaxes its memory restriction by 400%. It will now use up to 16GB of memory. DB2 Express-C can handle database of any size, it can be used in production, and it can be redistributed with your applications. 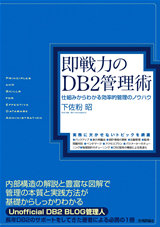 DB2 コピー名 "DB2COPY1" で製品は "C:¥PROGRA~1¥IBM¥SQLLIB"
c:¥>db2 "CREATE TABLE COLUMNAR(C1 INT,C2 DATE) ORGANIZE BY COLUMN"
Before installing DB2 V10.1, make sure that the /var has at least 512mb of free space. This is approximately double what previous versions required. DB2 V10.1 also requires the /opt directory to have 512mb of free space to perform the installation.